Hi all, our Newsletter August 2012 is the first newsletter for a while as things (as usual) have been mighty hectic around here. Firstly, there have been weddings to reccie and shoot, and secondly, the final touches to our new, exciting project have been made. Over the past year, we have updated, filmed, edited and produced the Wedding Photography Blueprint to version 2.0 and the masters (DVD's) have recently been sent for production. More below. What would you like to see more of and learn? This project has been huge! Over the past year we have been revamping, writing and filming the update to the popular Wedding Photography Blueprint DVD's. These have sold worldwide for 4 years with great results and subsequent reviews. Because the world has changed somewhat over the past 4 years, as have some of the techniques, equipment and technology, we decided it was time to review the Blueprint from the ground up. 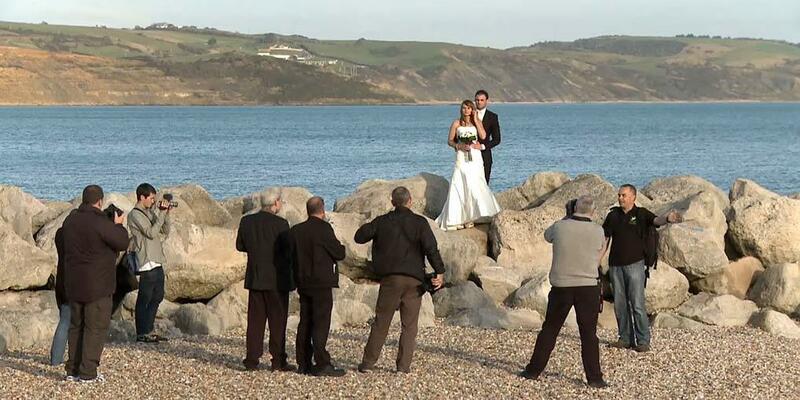 This new training course for new wedding photographers really does have it all and then some. We thought, "Right! Let's just throw everything into this"…and that we did. The Wedding Photography Blueprint 2.0 has been designed so that even a novice to digital photography could learn all they need to know. Everything to start off on the road to becoming a full time, professional wedding photographer. For those professionals already running their own business but not shooting weddings yet, the Blueprint has all the information you need. Ready to break into this lucrative aspect of a photography business? Check it out below. We have an exciting offer or two for the launch (limited) including discounts plus between 6 months and 1 years free access to ATP Members. You need to sign up at the site (page link below) to be notified of the launch. This could even make a great birthday or Christmas gift. If you are lucky enough to own the new Canon EOS 5D Mark III, you should by now have found your way around the basics of this camera. For those who have delved a little deeper, you may want to learn more about how to get the most out of the stunning HD video that this camera offers. Have you ever wanted to put your skills to the test and perhaps win a competition or two? Maybe you didn’t know where to find them? Well now you do! Photography Competitions is a site dedicated to finding over 200 photography competitions worldwide and is open to all. Pond 5 Now Sell Photos! Pond 5 are (or have been up until now) predominantly a video stock agency. They're one that I have used with some success over the past 6 or 7 years. They have a simple interface for both buyers and contributors and I would totally recommend using them for selling your stock video clips. Pond 5 have recently announced that they are also selling stock photography. This is a huge plus for those already owning libraries of stock images and also those looking to get into shooting stock photography. It is always difficult to know who to upload to when starting out. Even if you are well established as many new agencies have come and go over the years. I have held back from uploading to certain sites in the past when I got a gut feeling. When those sites got pulled a year or two later, I felt a certain amount of relief. Uploading images, and keywording etc, takes time. You want to devote that time to agencies you can trust and who will be around for a good while. Pond 5 have proved themselves and have longevity and good grounding in the stock business. If you want to get involved, head over there now, set up an account and start uploading safe in the knowledge you will be well looked after. Now that the yearlong project that is the Wedding Photography Blueprint 2.0 is almost complete, I will have more time to devote to uploading fresh content, tips, tutorials and so on. I would appreciate your thoughts as to what you would like to see more of at ATP! Many thanks and I hope you enjoyed this newsletter. If you have any friends interested in the Wedding Photography Blueprint 2.0, please share this with them. Even if you are not interested, they might be and these could also make a fantastic gift for Christmas or birthdays!